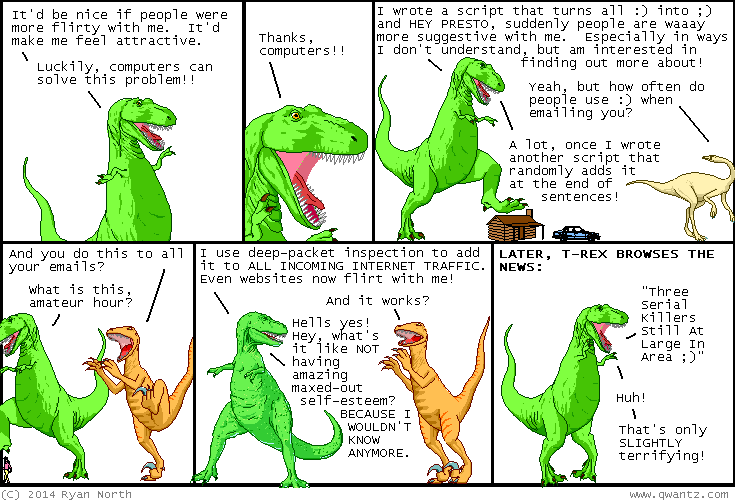 Dinosaur Comics - October 7th, 2014 - awesome fun times! –Things are going pretty well for you, my friend! 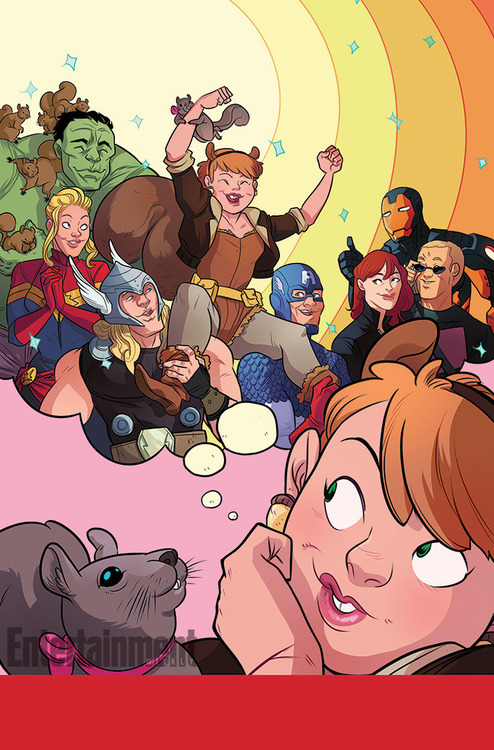 October 7th, 2014: An ONGOING MONTHLY SERIES starring SQUIRREL GIRL, written by me and drawn by Erica Henderson with colours by Rico Renzi! YES. The news was announced in Entertainment Weekly yesterday and people got super excited (I was among those people because I can talk about this project now!). The book comes out in January and will feature AWESOME FUN 100% OF THE TIME. Can't wait to share more about this!